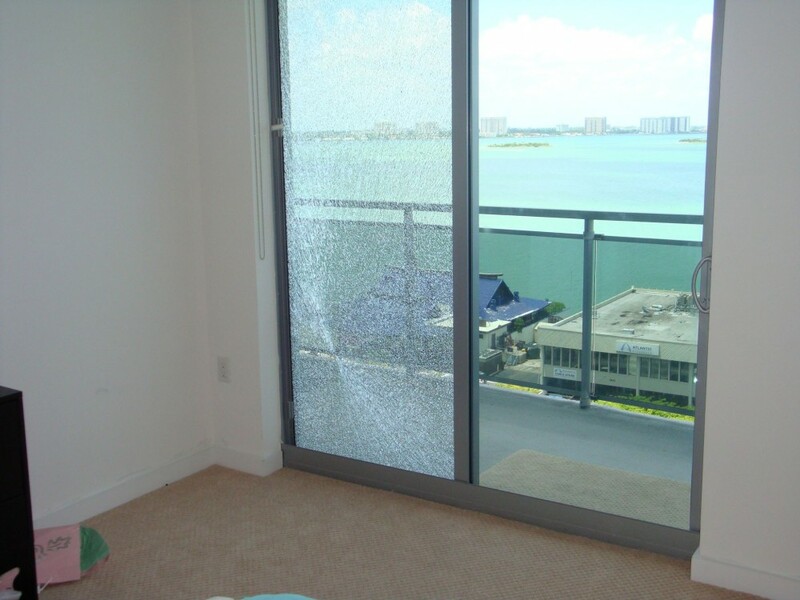 The past few years have seen several highly publicized incidents involving window and balcony glass breaking spontaneously and falling from high-rise buildings in Toronto, Chicago, Las Vegas, and Austin, Texas. While such episodes are rare, the danger they pose has forced building code writers, architects, government officials, and related industry professionals to reconsider which types of glass should be specified for glass applications where strength and protection of passers-by are paramount. The most common type of safety glass is tempered glass, which is made by heating pre-cut panels of glass to about 650 C (1200 F), then cooling them rapidly through a process called ‘quenching.’ By cooling the outer surfaces of the panel more quickly than the center, quenching puts the surfaces and edges of the glass in compression and the center of the glass in tension. In addition to making tempered glass four to five times stronger than conventional annealed glass, re-heating and rapid quenching dramatically changes the break characteristics of the glass. Consequently, when tempered glass is broken, it shatters into thousands of tiny pebbles—this practically eliminates the danger of human injury caused by sharp edges and flying shards. Another type of safety glazing, laminated glass, is made by sandwiching an interlayer of vinyl (typically polyvinyl butyral [PVB]) between two layers of glass to hold the panel together if it is broken. Although laminated glass is most commonly associated with windshield glass for automobiles, it is increasingly being specified for storefronts, curtain walls, and windows to meet codes for hurricane-resistant glass. A third option, heat-strengthened glass, is not technically a safety glazing. This is because when it breaks, it may form larger sharp shards that can cause serious injury. However, heat-strengthened glass still meets Consumer Product Safety Commission (CPSC) 16 Code of Federal Regulations (CFR) Part 1201 and Class A of American National Standards Institute (ANSI) Z97.1, Safety Glazing Materials Used in Buildings?Safety Performance Specifications and Methods of Test, for many safety glass applications when it is combined with a laminated interlayer that holds the glass together if it breaks. 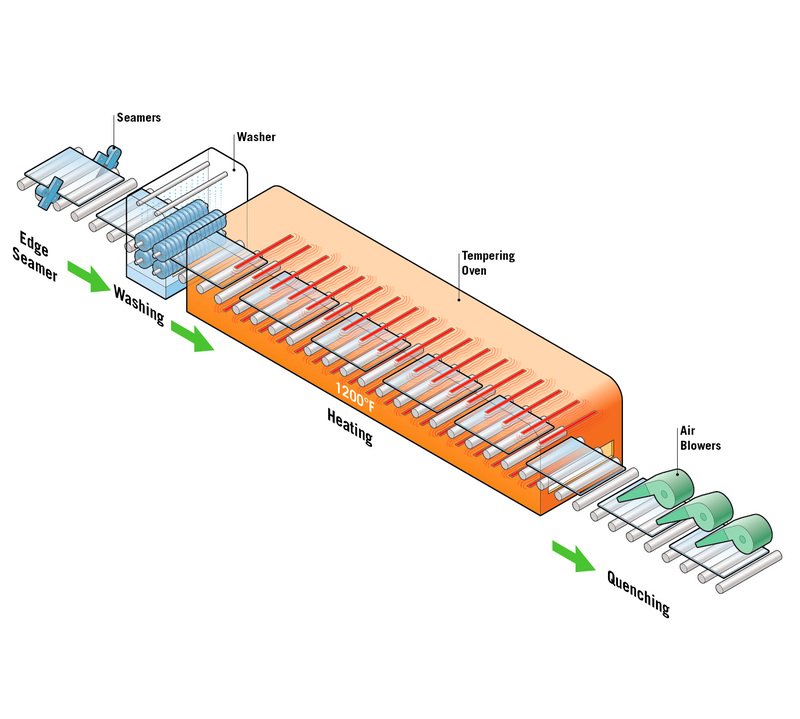 As with tempering, heat-strengthening involves exposing pre-cut glass panels to temperatures of up to 650 C, but with a slower cooling process. Heat-strengthened glass is not as strong as tempered glass because the compression strength is lower—about 24,130 to 51,710 kPa (3500 to 7500 psi) compared to 68,950 kPa (10,000 psi) or greater. However, it is about twice as strong as annealed glass. For this reason, heat-strengthened glass is often specified for applications demanding resistance to thermal stress and snow- and wind-loads. The incidents of spontaneous glass breakage in Chicago, Las Vegas, Austin, Texas, and Toronto occurred exclusively with tempered glass. 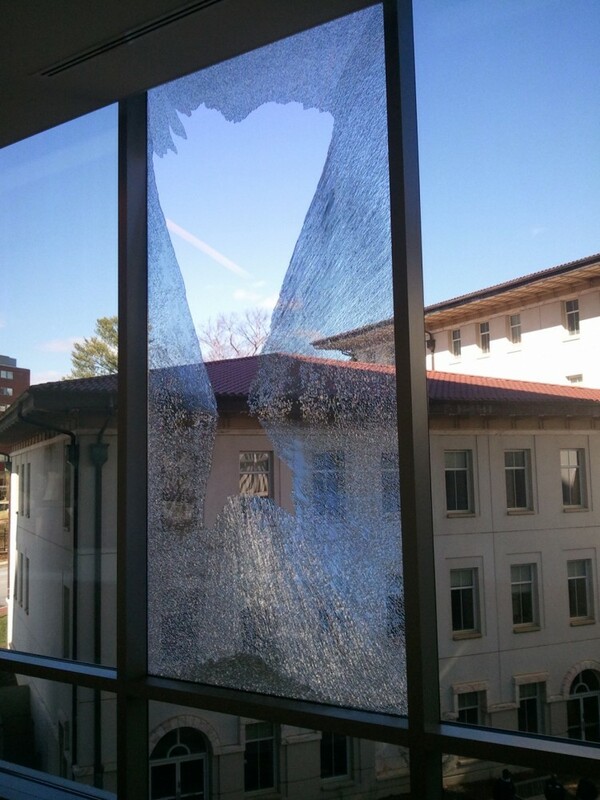 Despite that material’s high levels of strength and capacity to meet safety glazing requirements, it is uniquely vulnerable to these types of failures. Ironically, the center tension zone engineered into tempered glass through the quenching process is also what makes it so vulnerable to catastrophic breakage. Safety glazings are commonly required for sliding glass doors, shower doors, and patio furniture. ‘Safety glazing’ generally refers to any type of glass that is engineered to reduce the potential for serious injury. There are many potential causes for spontaneous breakage of tempered glass. The most common is damage to the edges of glass as it is being pre-cut into panels, or nicks or chips to the edges that occur when the glass is being packaged, shipped, or installed onsite. While such damage may not be readily apparent, stress concentrations around these imperfections can occur as the glass expands and contracts in response to in-service temperature changes, wind load, building movement, and other environmental factors. Ultimately, when those stresses cause the glass to break, the action may appear to have been spontaneous when, in fact, the circumstances for failure had been put in place months or even years earlier. Expansion and contraction of glass framing members may also lead to frame-related breakage—another common form of seemingly spontaneous failure. 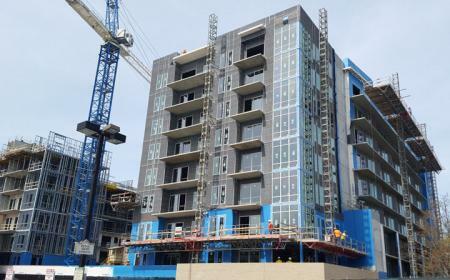 Such incidents occur when the gaskets, setting blocks, or edge blocks in a metal window or curtain wall frame are missing or do not sufficiently cushion the glass against glass-to-metal contact caused by temperature or wind-related movement. 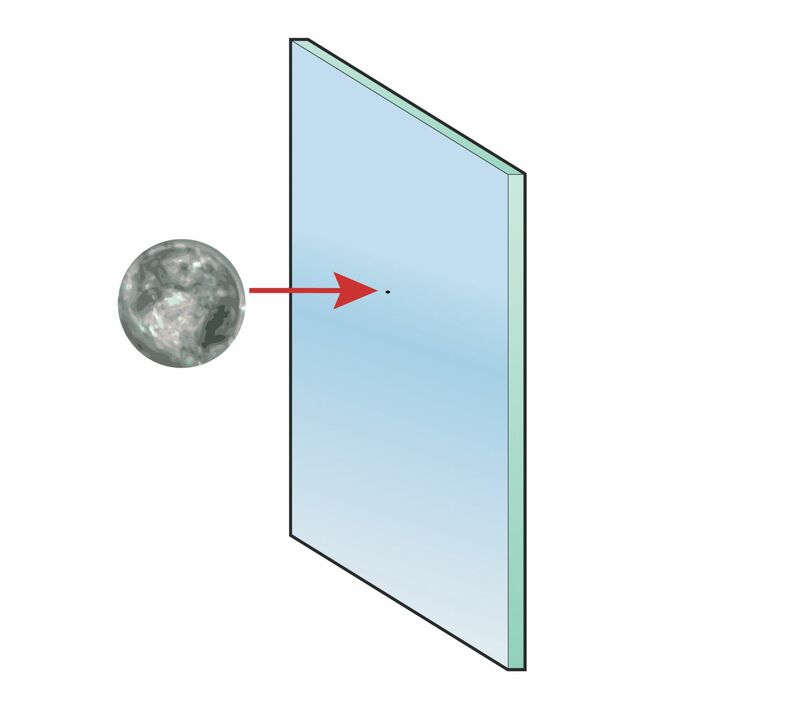 This can cause edge and surface damage to the glass as it comes in contact with the metal frame’s perimeter, producing stresses that eventually lead it to fail for no apparent reason. Nickel-sulfide particles are tiny, extremely rare, and only found randomly in float glass. 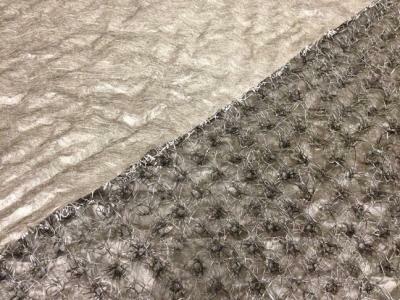 This combination makes visual inspection for such inclusions highly impractical—if not outright impossible. 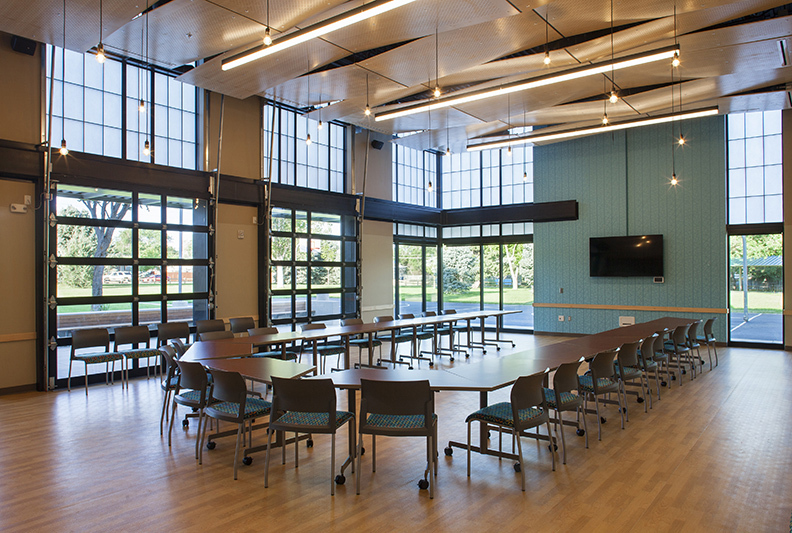 Accounting for thermal stress is especially critical today, as current design trends and the desire for daylighting are driving the industry toward the specification of larger insulating glass units (IGUs) with high-performance solar control coatings. Large IGUs have inherently greater glass surface and edge areas. When they are combined with coatings designed to manage the sun’s energy, more rigorous thermal stress analyses are required. There is no known technology that completely eliminates the possible formation of nickel sulfide stones in float glass. Further, because nickel sulfide stones are so small, there is no practical way to inspect their presence in float glass. A far less common—but often cited—cause of spontaneous glass breakage is nickel-sulfide (NiS) inclusions in tempered glass. Small nickel-sulfide stones can form randomly in the production of float glass. They are typically benign, even when occurring in tempered glass. 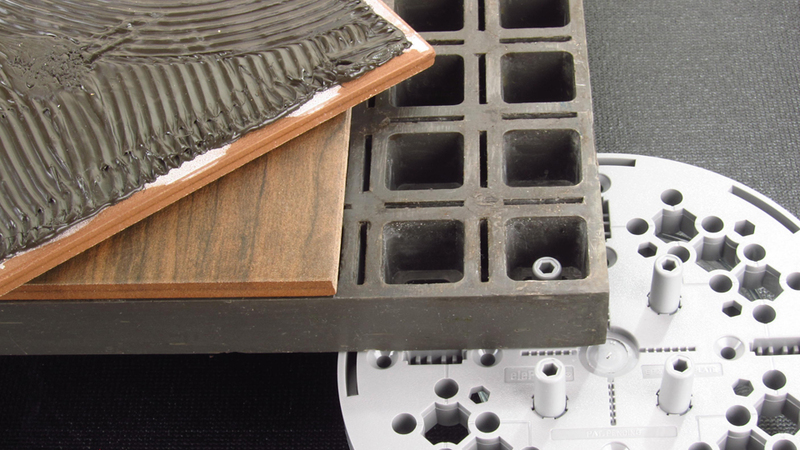 North American glass manufacturers do not use nickel in batch formulations for primary glass and go to great lengths to avoid nickel-bearing components in their glass-melting processes. Despite rigorous quality controls and procedures aimed at reducing the likelihood of nickel-sulfide stones, there is no technology to completely eliminate their formation in today’s float glass. Nickel-sulfide stones are quite small and their occurrence in the final glass product is covered under ASTM C1036, Standard Specification for Flat Glass, which permits blemishes (including nickel-sulfide particles) of between 0.5 and 2.5 mm (1/50 to 1/10 in.) in float glass, depending on glass size and quality. While nickel-sulfide inclusions may be present in annealed or heat-strengthened glass, the problems they cause are specific to tempered glass because of the tempering process. Breakage is due to a volumetric growth in the size of the stone. As detailed earlier, during the annealing and heat-strengthening processes, glass is cooled at slower, controlled temperatures that enable nickel-sulfide particles that are present to complete a phase transformation (known as the ? to ? phase change) during which they fully expand to their final size and remain stable thereafter. In the tempering process, this phase transformation is arrested during rapid quenching, which causes any nickel-sulfide particles present to remain confined to their shrunken, pre-transformation states. Then, when the tempered glass is exposed to higher in-service temperatures caused by solar heat gain or other high-temperature influences, nickel-sulfide particles have the potential to resume their volumetric growth. If the expansion is large enough—and the particle is located in the center tension zone of the tempered glass panel—the resulting stress may be enough to shatter the glass. 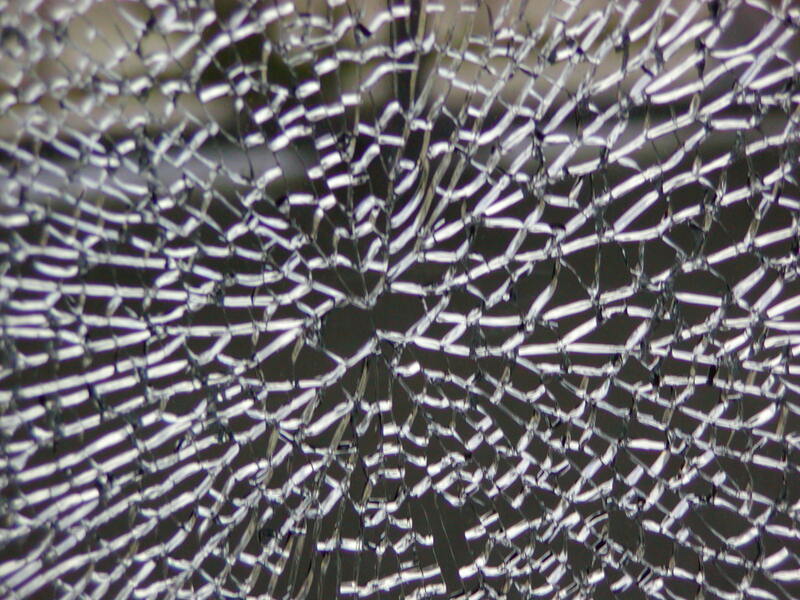 When tempered glass is broken (as shown above), it shatters into thousands of tiny pebbles, practically eliminating the danger of human injury caused by sharp edges and flying shards of glass. The surface compression of heat-strengthened glass makes it approximately twice as strong as annealed glass. Heat-strengthened glass is typically used when glass is required to meet thermal or mechanical loads caused by heat, wind, or snow. As indicated, nickel-sulfide particles are tiny, extremely rare, and only found randomly in float glass. This combination makes visual inspection for such inclusions highly impractical, if not impossible. For that reason, some glass fabricators and glazing contractors offer heat-soaking of tempered glass as a potential solution for minimizing the risk of spontaneous glass breakage. In this procedure, the glass supplier exposes an entire lot or statistical sampling of tempered glass panels to temperatures of 288 to 316 C (550 to 600 F) for two to four hours. The goal is to initiate or accelerate the phase change of any nickel-sulfide inclusions that may be present and to cause the glass to break before it is shipped to the end customer. 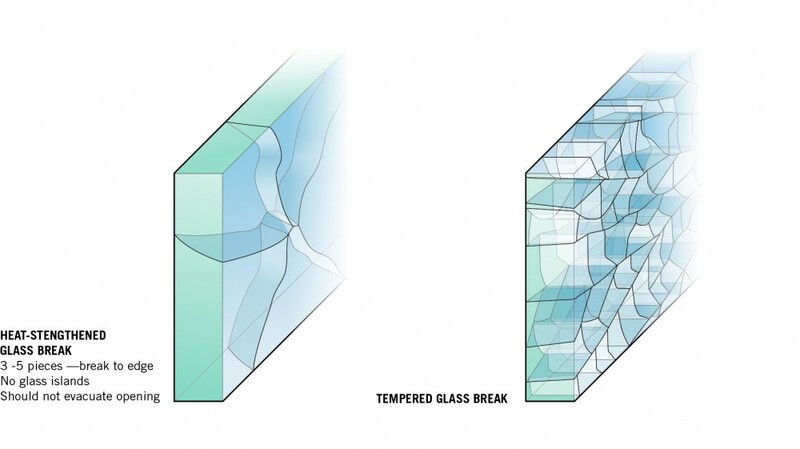 As these illustrations demonstrate, the heat-strengthened glass and tempered glass have distinctive breakage patterns. There are risks associated with the heat-soak procedure that may outweigh any perceived benefits. For instance, small, stable inclusions could undergo the beginning of a phase change during the heat-soak. While the phase change may not be sufficient to cause breakage during the procedure, the transformation could potentially continue after the glass is installed, causing it to break in-service. 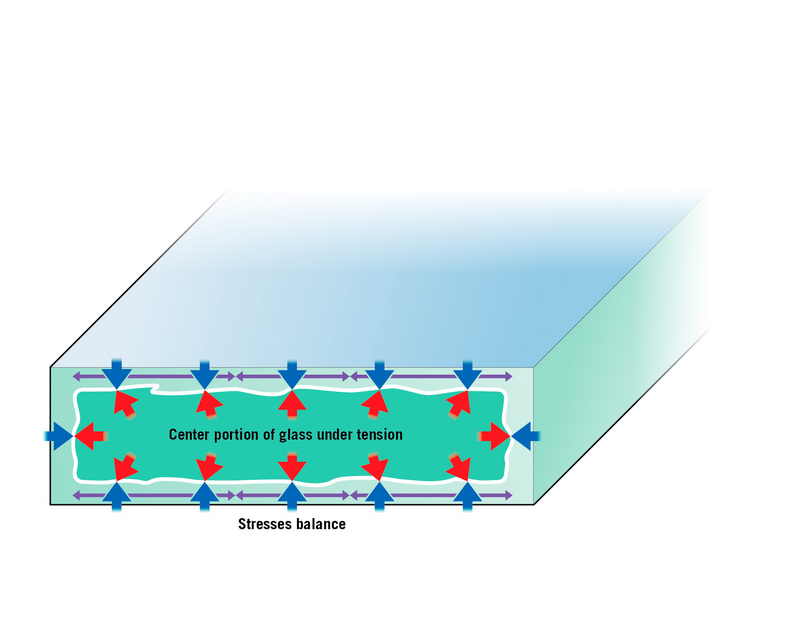 Re-exposing tempered glass to the increased temperatures of heat-soaking also has the potential to reduce its surface compression, which is the source of its strength. Ultimately, this may undermine the glass’s ability to fulfill the safety or strength requirements for which it was intended. Further, heat-soaking adds another layer of handling to the manufacturing process, which creates more opportunities for edge damage, scratches or color changes to the low-e coating, and other imperfections that could have an impact on the tempered glass unit’s long-term durability and performance. In recent months, two organizations made major announcements prompted largely in response to the incidents of falling glass in Toronto, Chicago, Las Vegas, and elsewhere. Both shared a common assessment—namely, that using laminated tempered glass or heat-strengthened glass is the most viable solution to making balcony and other types of overhead glass safer. Fully tempered glass and heat-strengthened glass are made using the same basic heating and quenching process. 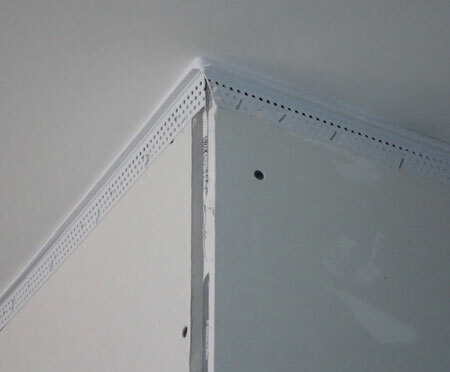 In Canada, an Expert Panel on Glass Panels in Balcony Guards established by the Ontario Ministry of Municipal Affairs and Housing (MAH) recommended local building codes be amended to mandate the use of heat-strengthened laminated glass for any outboard guard or glazing located beyond the edge of a floor, or within 50 mm (2 in.) of the edge of a floor. For outboard glazings located more than 50 mm inward from the edge, the panel recommended heat-soaked tempered glass or heat-strengthened laminated glass. 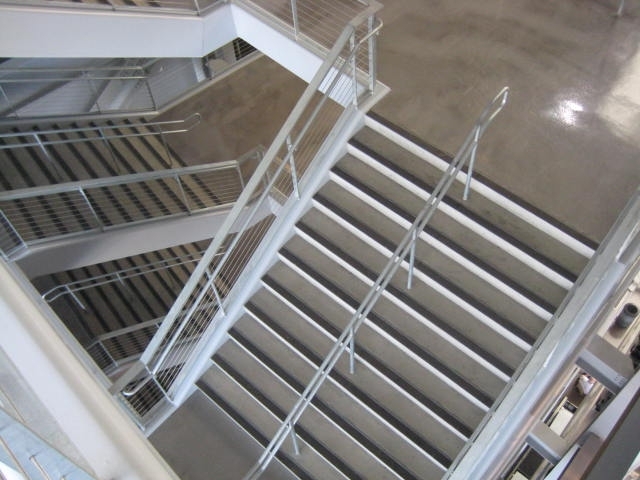 Similarly, in December 2012, the International Code Council (ICC) passed a code change proposed by the Glazing Industry Code Committee (GICC), mandating use of laminated glass in handrail assemblies, guardrails, or guard sections. The newly approved code states laminated glass must be constructed of either single fully tempered glass, laminated fully tempered glass, or laminated heat-strengthened glass, and comply with CPSC 16 CFR Part 1201 or Class A of ANSI Z97.1. 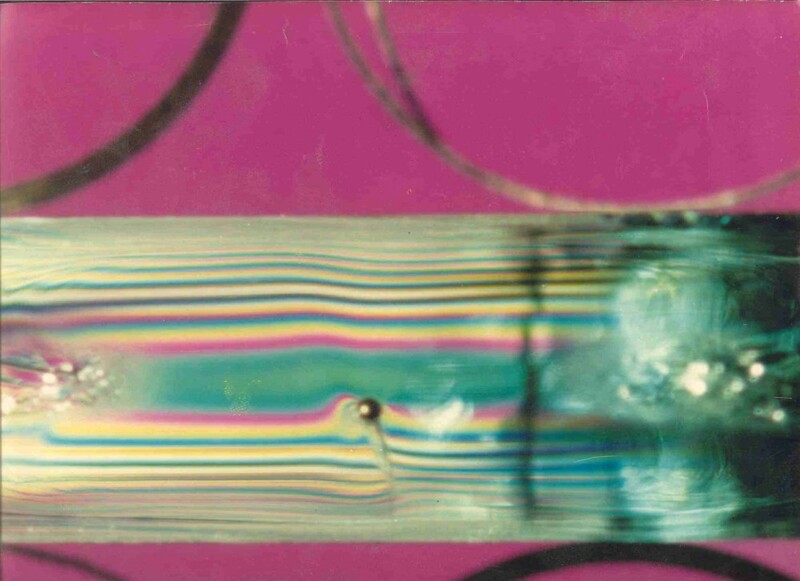 Given the developments and recommendations outlined in this article, it is clear a laminated glass interlayer in combination with tempered or heat-strengthened glass may offer the optimal blend of characteristics for applications where the risk of injury from glass fallout is a primary concern. For non-safety glass applications, where strength and resistance to spontaneous breakage is desired, non-laminated heat-strengthened glass should be considered due to its lower costs. Michael L. Rupert is PPG Industries’ director of technical services and product development for flat glass. A 39-year company veteran, he is a board member for the Glass Association of North America (GANA) and chairs the Flat Glass Manufacturing Division. Rupert holds a bachelor’s degree in civil engineering and an MBA from the University of Pittsburgh. He can be reached at mrupert@ppg.com. 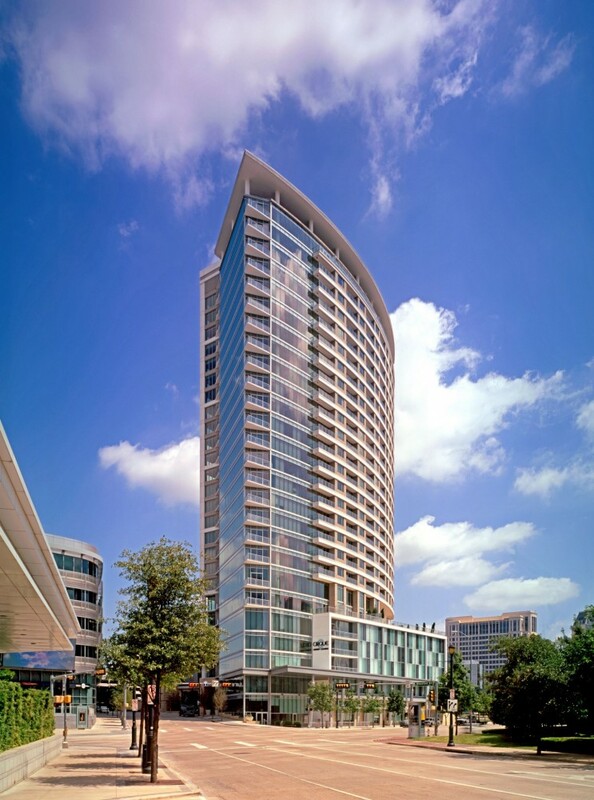 Glass breakage especially on high rise buildings can frequently be caused by bird impacts. Not necessarily by defects or inclusions in the glass. We have several possible solutions to reducing or eliminating bird impacts using digitally printed ceramic ink/frit baked-onto glass. We also have self-adhesive films that can be applied to existing glass. These films can be set up to automatically become opaque when sunlight heats the glass/glazing. In addition, images can be projected onto the films during the dark periods that typically will alert birds to the glass/glazing and avoid impacts. We offer Technical Service and Support. We have another sort of problem with glass breakage. Our overhead canopy has large glass panels approximately 6′ x 10′. We believe birds drop rocks from our rooftop on the 8th floor, thereby shattering the panels. These cost us approximately $2000 each panel. We’re looking for something to put on the glass to maintain the esthetic appeal but protect the glass. Any ideas? Either replace the glass with polycarbonate sheet or cover the glass somehow with it. How to avoid spontaneously “BLAST” of glass (of about 7mm thickness) which is properly tightened to steel frame, How to verify others mounted glass to avoid this?? is this blast in Saudi Arabia ? Why did you choice Saudi Arabia. Is it common there. I have an issue for hotel shower wall glass, it suddenly shatter at early morning when guest inside the room sleeping luckily it not drop to the bed room as it so near with it & it been laminated/film sticker. He only have minor injured as he touch the shatter surface when he trying to check what is happening. Can you advice what is this cause? Can one tell by the breakage or radiation pattern – the most likely cause of the damage? how can we determine the point of entry of holed damage on a 1inch thick tempered glass? I had a double pane window crack on the inside only, however, it looked like it was from the impact of something that would have had to have been from the outside. Is this possible? We ordered triple glass unit with heat strengthened inner lite instead of tempered. I have a 2mm chip in the inside of my hurricane impact door. You cannot feel it from the inside or the outside as it is in between the glass. The vender says it is too small to worry about. I feel as if it is compromising the integrity of the door and is still under warranty and should be replaced. Thoughts? Ourshower door exploded at about 1:30 am this morning. We were sound asleep and no one wad in the bathroom,thank goodbess.